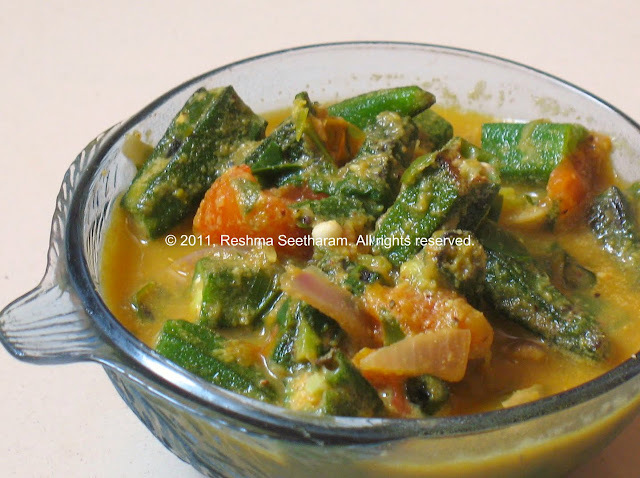 This is my mother’s most common masala recipe. She makes it one time, and freezes a few batches, that she later uses with other vegetables, egg , or meat. Grind the masala to a fairly fine paste with a little water. Set aside. 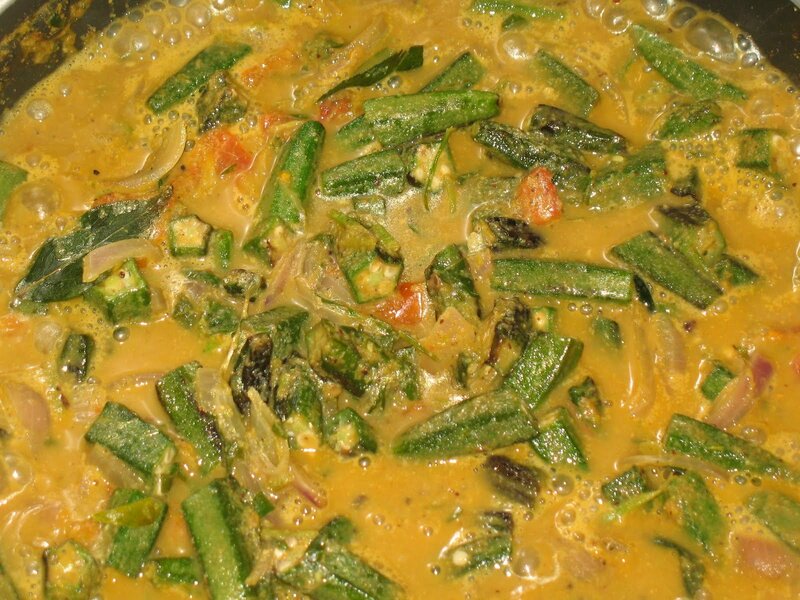 Heat oil in a skillet/ fry pan, when it starts to smoke, add mustard seeds and curry leaves. 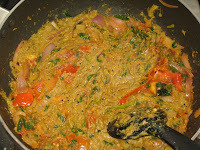 After the splattering subsides, add the onions, when it gets transparent, add the chopped methi leaves. 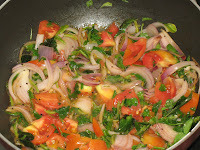 Now let the onions brown a bit, add in the tomatoes and let it cook until soft and pulpy. Add the ground masala paste and let it simmer on a low flame for about 8-10 minutes until the oil separates. 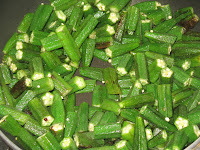 Meanwhile in another pan on medium heat, add about ½ tsp of oil, and toss in the cut okra. 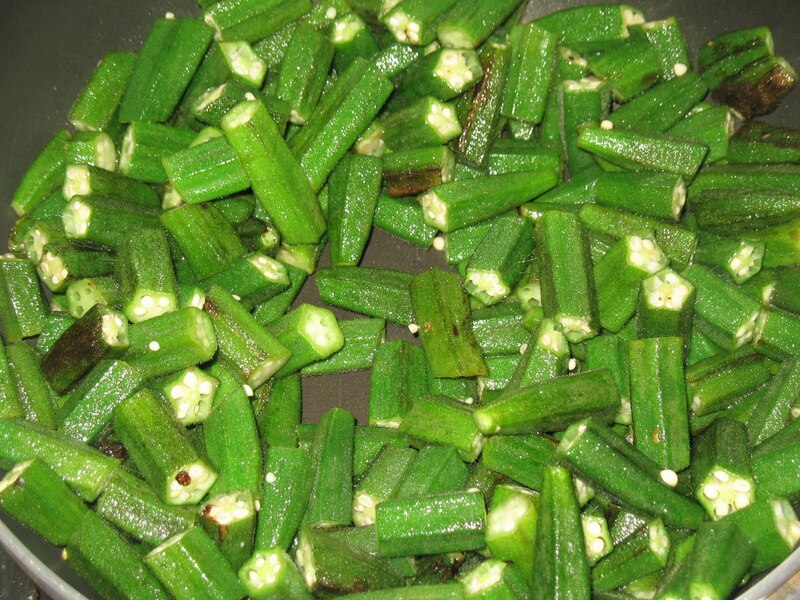 Saute them until they have brown patches. Gently drop them into the simmering mixture. Add salt and let them cook for another 5-7 minutes on low flame. Turn off the heat. 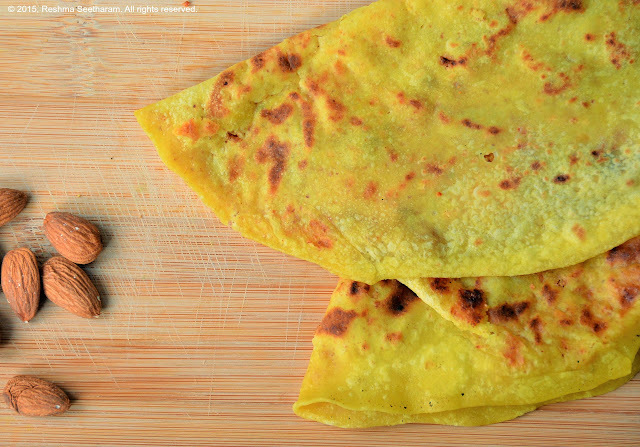 It tastes yummy with chapathis or any form of flat bread. 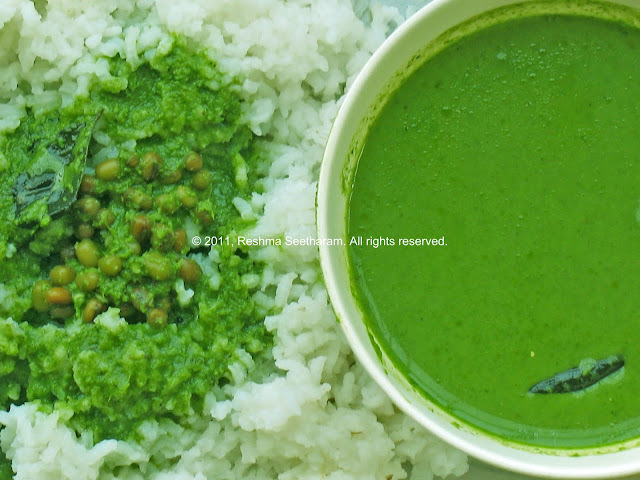 It tastes great with rice too. Enjoy!